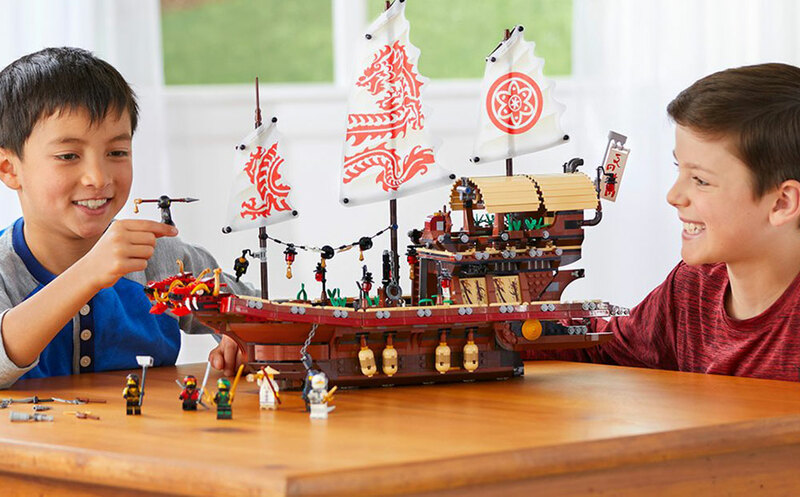 In the same manner that one Lego after another adds up to some pretty amazing plastic sculptures, when trying to purchase Legos, one dollar after another quickly adds up to a fairly big dent in your gift budget. That said, Legos are like apple pie and baseball–they are an American institution. To let price stand in the way of what constitutes, perhaps, the greatest gift in a child’s life is to not understand the impact Legos has on young imaginations. That said, spending hundreds upon hundreds of dollars on one Lego set is often not an option. Many Lego sets are gargantuan sets with intricate models and thousands of pieces. 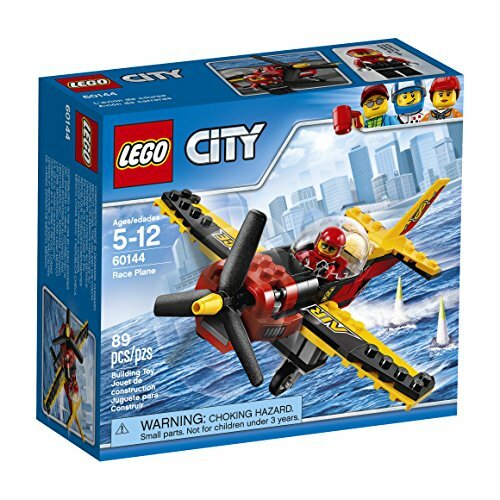 For younger children, the Great Vehicles Race Plane offers them the opportunity to enjoy Legos with a smaller–yet equally fun–build option, in this case, a race plane. With 89 pieces, the plane is complex enough to take some time and will provide a child some sense of accomplishment. Additionally, the fun plane is certain to lift any child’s imagination into the clouds. The figurine pilot fits easily into the cockpit, and the clear windshield allows your child to identify with the pilot as this red, black, and yellow plane zooms through the air. With just a flick of the finger, the propeller is off and spinning, and there are a variety of stylish decals for flair. 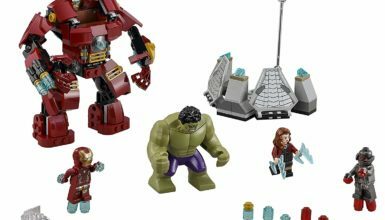 The Hulkbuster Smash-Up is another set perfect for younger children. 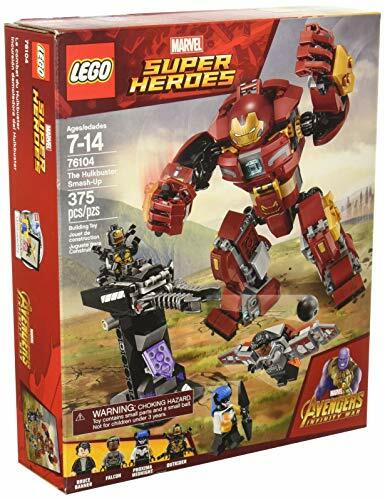 The instant name-recognition of The Avengers will delight children and keep their interest piqued as they snap their way toward the hand-sized adventure that awaits. 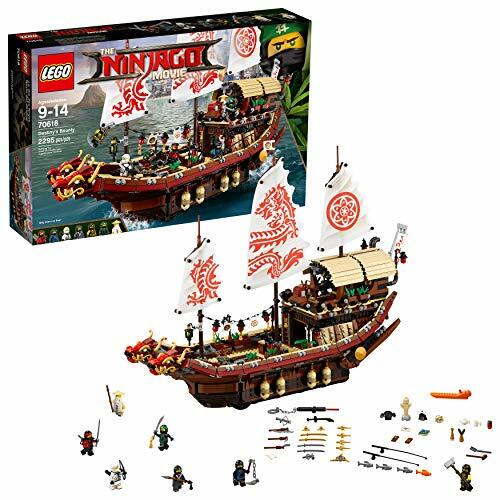 With 375 pieces, this set will take time for most children to assemble, requiring some puzzle solving as they work to complete it. Yet it is not too large to become daunting, making it a perfect introductory set to larger kits. Some of the interactive features include an arm that smashes up and down, a rotating turret, and several mini figures, listed below. The turret’s ammo-ball presents a choking hazard. This set is not appropriate for children three years of age or younger. 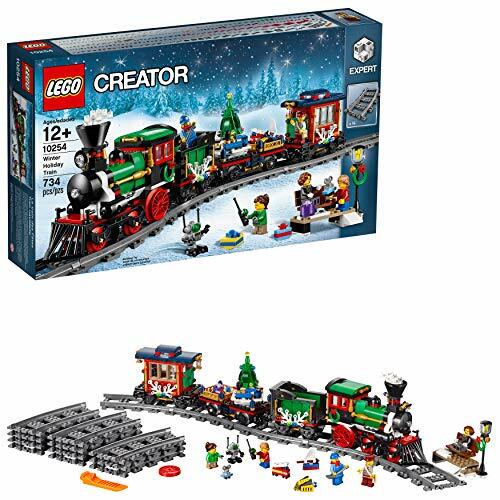 The Expert Winter Holiday Train is an intricate set for children in the fourth or fifth grade. 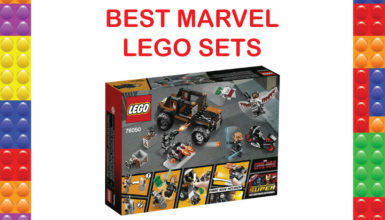 With over 700 pieces, your child will enjoy a couple hours building all the components included in this set. Once it is complete, it is pre-built with a variety of interactive elements to make play time imaginative and fun. For instance, the track is a complete train track that forms a circle. Once the train is built, it glides with ease around the track. With all the cars connected, the entire train is over 20 inches in length. With a variety of movable gears and lights that blink, the train set sparks holiday imagination. Connecting one car to another and then pulling them around the track–careful that everything follows oh-so carefully–evokes real joy in train lovers. There are several miniature figurines that add to the festive element, including an odd, little robot. 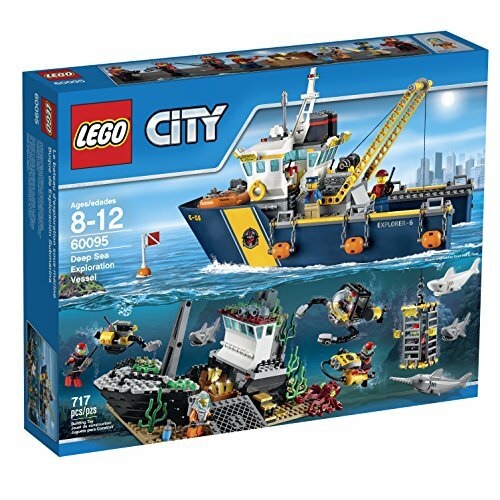 This deep-sea submarine is one of the best sets for younger children of five or six years old. The submarine is stylish enough to double as a submersible explorer, but it works equally well as a lone craft journeying through the furthest reaches of outer space. Styled in bright yellow and slate black, the submarine consists of a large base with a big pilot’s area. The base is equipped with light-like snap-ons. Protruding from each side are two gripper arms. The craft is propelled by two spinning turbines, and keeping it afloat on the water’s surface are two air tanks. The included pilot snaps into place within the cockpit, and after the entire seven-inch craft is completely built, your child can sail it through his or her imagination, avoiding the included great-white shark as he or she searches for gold and treasure (also included). This set is not for small children. It has several small pieces that present a choking hazard for children three years of age or younger. Okay, this set is huge. The final build is over 17-inches high and 21-inches long. 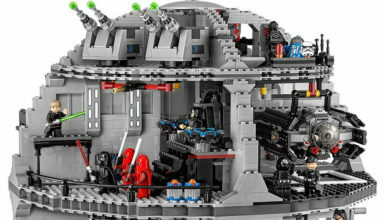 It is not just a Lego set–it is a gargantuan ninja-training ship. Consisting of over 2,200 pieces, it will provide any child hours of fun. As many previous customers have stated–the end result is not quite explainable until its built–the ship is simply that enormous. Once it is complete, your child will have a full-size, ninja, training camp. Everything your child needs to spark his or her imagination comes with the set–ninjas included. The ship’s front is decked with a two-headed dragon. Of course, the ship is not just a solid, Lego-brick vehicle. Instead, it is a ship with multiple compartments for treasure and weapons along with working gears that drive the anchor up and down. Also built into the ship are compartments, such as a dojo and sleeping quarters. This set represents a choking hazard for children ages three years of age or younger. 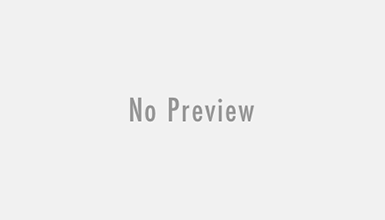 Star Wars Captain Rex is an intermediate set designed for children approximately nine years of age. Adopted from Star Wars, the final build is the living quarters for Captain Rex and friends. At 12 inches in length, it offers all the compartments, gears, and movable legs that any movie fortress might have. Simply put, this is a significant toy for imaginative play. The fortress is elevated by six legs, and it can be defended by the turret-style guns mounted on the front and sides. On the rear is a platform with gears and pulleys. The platform is a landing pod for other Star Wars flying machines (not included). It comes with a variety of miniature figurines, and each can be equipped with light sabers, blasters, or wrenches. Functionality includes a back hatch that lifts, a workable cockpit, and a built-in handle for easy carrying. This is one of the first sets that approaches something akin to art. The bricks come in three colors: gray, ivory, and copper green. Once complete, the statue stands 17 inches in height. Additionally, its five-inch, square base provides a stable, low center of gravity. The surprising thing about this model is its unapparent complexity. For instance, coming in at over 2,200 pieces, you would think it would take some time to complete. It will, of course, but much of the complexity comes from the intricate base. For instance, there are a variety of protruding “stone” tiles, and getting these in place will take some time. Additionally, Lady Liberty’s pieces are more organic in shape. Consequently, constructing her will pose something of a puzzle as the placement of the many curved pieces will not be, at first, readily apparent. For successful assembly, much back-and-forth consultation between child and the sample pictures will be required. That said, the sizable model will please anyone who loves 3-D puzzles, which is what this Lego set really is. 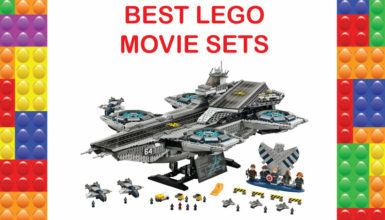 Although this set is not the largest, it is one of the most awesome sets in existence. 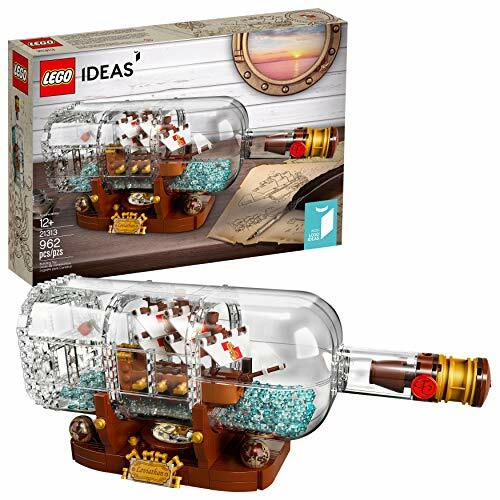 Additionally, it is geared toward children of approximately 12 years of age, but any adult who has ever marveled at a ship in a bottle will be intrigued as well. Of course, the end built is an elegant ship in a clear, plastic bottle. The bottle comes in two pieces that snap together with the seam along the top. The ship contains a captain’s quarters, and the base is solid to keep it from tipping or wobbling. Clear acrylic detail lines the bottle, and aqua-shaded bricks provide a sense of water. Final touches include a cork for the bottle along with a wax-style seal. Four stylistic, brown gloves are set atop each of the base’s corners. Overall, it seems less of a toy and something of a whimsical executive’s gift. 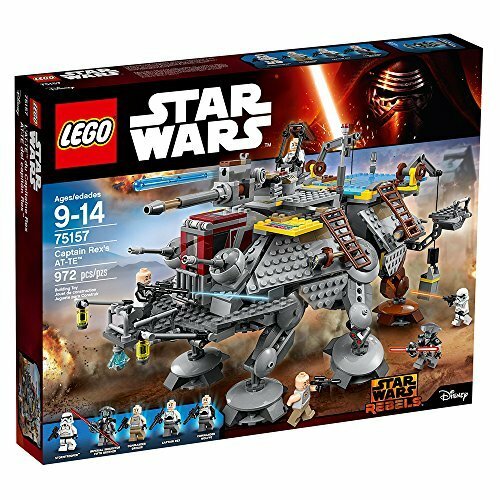 Once your child (of any age) has completed it, this ship will not go back in the box. Instead, it will likely go on the mantel. Although most customers report the ship is very solid and stable, others have reported that the final build seemed fragile. 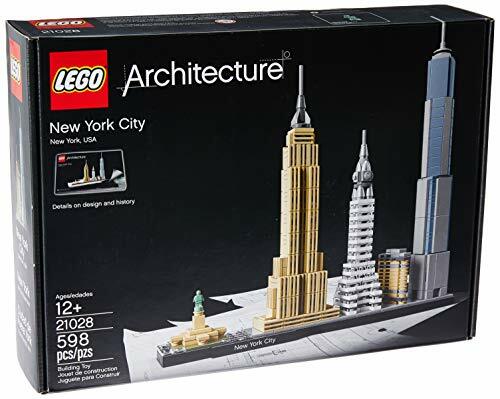 For budding architects, this Skyline build is a complementary set to the aforementioned Statue of Liberty set. 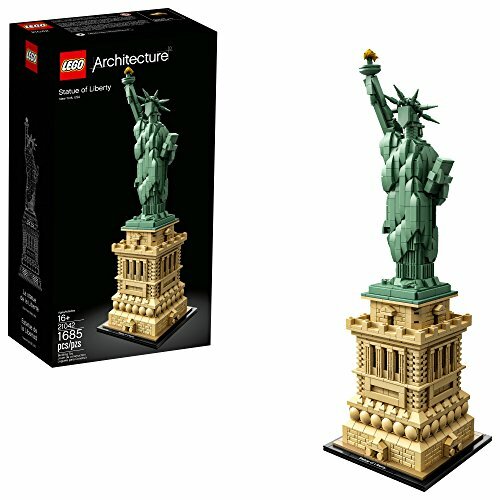 Comprised of 598 pieces, it offers a moderate degree of complexity, entailing four buildings and a plain base. This is a classic game honored by Legos, the classic, American, building blocks. The white-and-blue pieces face off against the black-and-red pieces. The field of battle is a black and white chess board nearly two inches thick. At first, it might not be apparent why the board is so thick. However, the thickness is necessary because the board doubles as a storage box for the playing pieces. For children of any age, the playing pieces make this set a true joy. Both king and queen pieces are appropriately sized, and the bishops look like bishops–even though they’re made from Legos. The rooks are bulky and bold, as rooks must be. In fact, the pieces are so amazingly designed, the puppy-like horses can be excused. 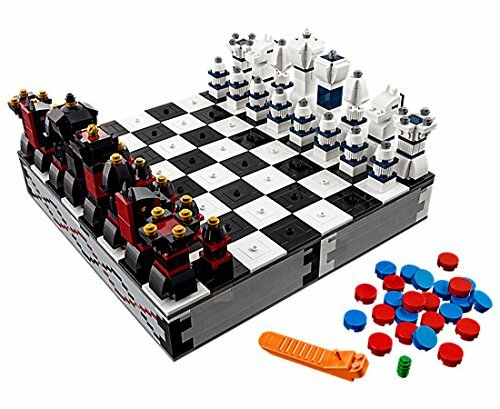 Overall, this is a functional chess set made up of over 1,400 pieces. Your child will have fun during the hour or two it will take to build. Following that, your child and a family member can enjoy hours of strategy in a game of chess.